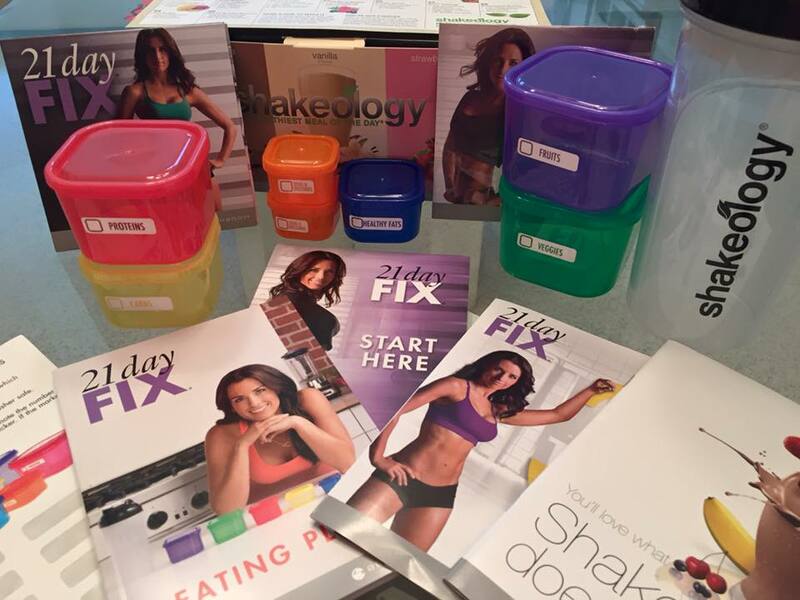 I just got my 21 Day Fix package in the mail on Monday. Some of you may have heard of it. I’ve seen it on infomercials so many times I can’t even count. I didn’t buckle under the pressure of a typical TV ad but I did run into a girl that I work with that has been on this program for months now. No, it’s not just 21 days…it’s not a quick fix “diet”. It’s a lifestyle change for sure. She looked amazing and I saw her before and after photos and I was sold. Let me just say that I’ve tried alot of the programs out there from South Beach to Atkins to the most recent Weight Watchers and My Fitness Pal. I’m not one to just go at something on my own without some sort of “anchor” if you will. I didn’t mind counting calories or even tracking points. I was just looking for something different and this sounded like it would help push me to where I want to me physically. I met with my friend over coffee last week and I had 20 questions….no literally, that’s how I roll, I had 20 questions LOL! And she answered them all. There aren’t any gimmicks. There aren’t any strings attached. It’s a program based on portion control by color coded containers along with a workout regimen for every single day. Yesterday, I started on my 21 Day Fix journey. Did my first workout and I didn’t think I’d be able to get out of bed today. Muscles hurt that I didn’t even know I had. Today, I jumped into my second workout….no pain no gain right? I’m feeling it. The cool thing is that different muscle groups are worked on different days so you can rest while you work another part of your body. The containers are based off of your personal caloric needs and I haven’t been hungry yet. I don’t have any cravings and I’m feeling more energized. Yes, I’m mentally connected to this program so I’m thinking I will stick with it. I’m sure I will post more over the next three weeks but I’m sure I’ll make this my new way of life with eating and staying in shape.